One of America’s most loved baked goods is also one of the easiest to make. 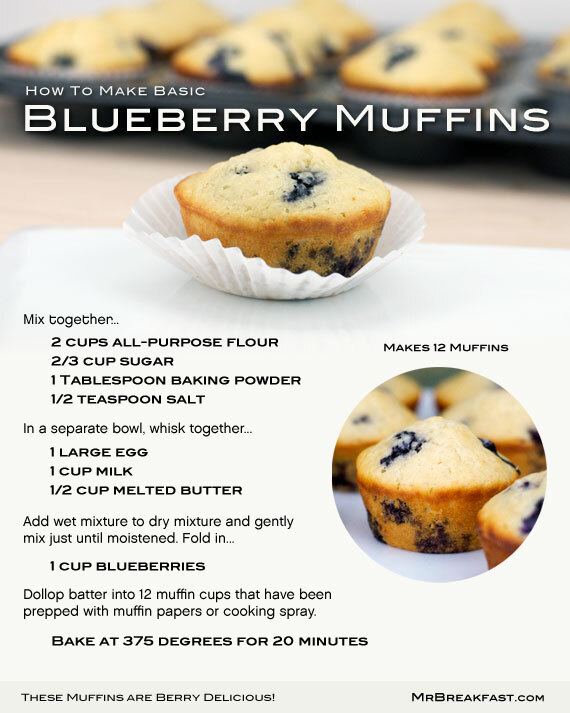 Today, we’re focusing on a basic, reliable blueberry muffin recipe. It takes about 10 minutes to prepare and 20 minutes to bake. That’s right. 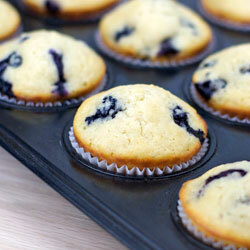 We’re talking about oven-fresh blueberry muffins in a half hour. After we examine the basic recipe, I have a few tips and simple adjustments to make this good thing even better. The same gentle technique goes for folding in the blueberries. Take your time and mix just until the berries are evenly distributed in the batter. For dolloping batter in muffin cups, I swear by my trusty ice cream scoop. It fills the muffin cups almost exactly 3/4 full, which is ideal for this recipe. Always test for doneness. After 20 minutes, insert a toothpick in the center of a muffin. If it comes out clean (no batter), the muffins are done. If they need a few more minutes, consider covering the tops of the muffins with foil so they don’t get overly browned. Use vanilla. I add vanilla to almost every baked good I make. Even if you don’t notice it directly, it adds a nuance that just makes everything a step better. One teaspoon of vanilla works great for this recipe. 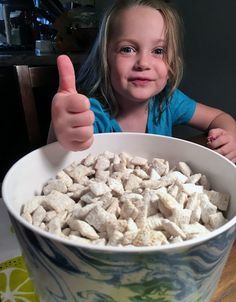 Just mix it in with the wet ingredients. Try cake flour. Mixing a little cake flour in with all-purpose flour gives muffins a somewhat softer texture. I find that muffins with cake flour are even better the day after they’re made. The muffins condense more and feel more indulgent. For this recipe, try replacing 1/2 cup of the all-purpose flour with cake flour. Sift. Whether you use straight-up all-purpose flour or the combo suggested above, sifting (or aerating) the flour can make a big difference. The bit of air that gets mixed into the flour helps the muffins rise to form a beautiful dome. I’ve kitchen tested this several times and muffins made with sifted flour always have a better shape. That said, these muffins could turn out flat as pancakes and they’d still be delicious. Try yogurt. Before you measure out your cup of milk, consider trying this… empty out one of those single serve yogurt cups into your measuring cup. Top it off with milk until it reaches the 1 cup mark. 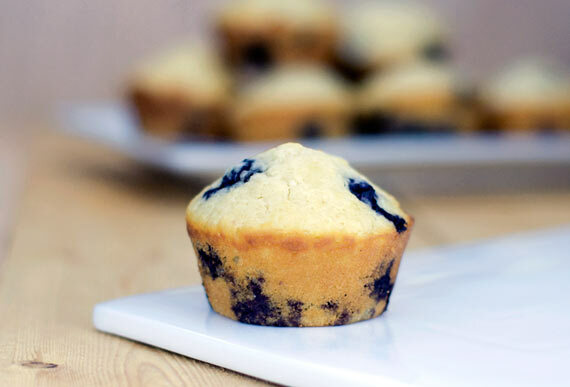 Using a little yogurt as part of the milk component ensures that your muffins will be extremely moist. A ratio of 1/2 milk to 1/2 yogurt is an equation for success. I’ll often use vanilla-flavored yogurt (with additional vanilla extract). Plain yogurt works fine, but do yourself a favor and have fun with it. 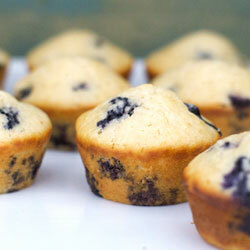 For extreme blueberry muffins, use blueberry-flavored yogurt. Try sour cream. Treat sour cream the same way that you’d use yogurt above. It adds a richness to the muffins (due to its fat content) and a slight tanginess that many people enjoy. Get zesty. In the world of fruit, blueberries and citrus are terrific buddies. 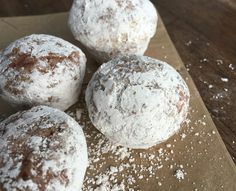 Adding a mere 1/2 teaspoon of fresh lemon zest or orange zest to the batter dramatically changes the flavor profile of the muffin, making it – for lack of a better word – zesty! The blueberries taste more lively because they have another fruity flavor to play with. I like to sprinkle the zest over the dry ingredients right before I mix in the egg and milk mixture. That concludes our blueberry muffin lesson for the day. Let me know what you think. If you have any tips or tricks of your own that you’d like to share, please do so in the comments section below. May your berries be sweet and your muffins always moist! Blueberry Muffins with orange zest !! Any closer to Heaven and I’d need wings. Fantastic recipe, thanks. Hey Bill – Glad you liked the post. Careful with that orange zest. I’d hate to see you fly away. Hi! 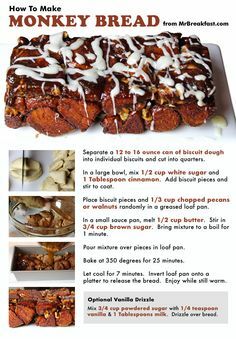 This recipe sounds extremely delicious & it looks so easy. But what if your oven is not working, can you bake them in some other way? Do you measure out a half cup of already melted butter? I do. I put one stick of butter (normally a half cup) in a bowl and microwave for about 35 seconds. Your recipe card says 2/3 cup sugar. When you are breaking the recipe down…your list of ingredients says 1/2 cup sugar. Can you tell me which one it is? It’s 2/3 cup sugar. Thanks for pointing that out. I fixed it in the article. Lots of good info. I learned alot . I enjoyed learning about the differences in flours and the different options. And the technique for mixing wet and dry separately. You have a good teaching and writing style. 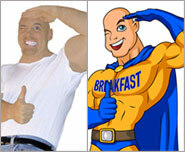 Thanks a lot for sharing wonderful i will definitely try on our bakery.